Jackie Brown scored a breakaway goal in the 74th minute Tuesday to snap a tie and visiting Lewis and Clark ended Mead’s season with a 3-2 victory in District 8 4A girls soccer. 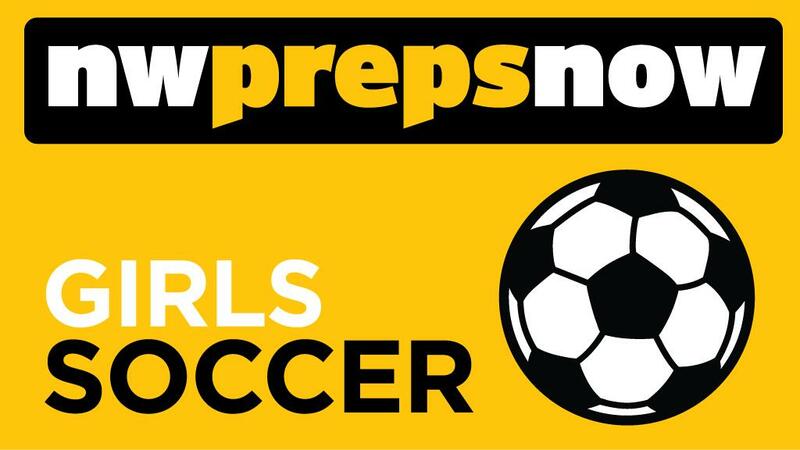 The Tigers’ Kiki Bourekis got the scoring started in the 18th minute before Mead (10-5) stormed back in the second half with goals from Tia Frahm – off a Kendal Houston corner – and Margo Schoesler to pull ahead 2-1. In the 67th minute, LC’s Ella Magnuson headed in a corner kick to tie the game at 2 before Brown’s game winner. LC (11-4) now travels to second-seeded Chiawana – which defeated Richland 4-2 – on Saturday in Pasco with a trip to state on the line. Mt. Spokane 11, Kennewick 0: Allie Baribault and Amber Hickman each scored a hat trick and the Wildcats (7-8) dominated the visiting Lions. Seven players scored for Mt. Spokane, which rotated its players throughout the game. Baribault had three goals and an assist. Her first goal came after she outran a defender on a throw-in. Hickman’s first of three goals came off a left-footed kick from distance. The Wildcats outshot Kennewick 20-4. Mt. Spokane advances to host North Central at 3 p.m. Thursday in a loser-out match. The winner will meet Thursday’s Southridge-Kamiakin loser on Saturday for a state berth. North Central 2, Shadle Park 0: Izzy Garcia scored both goals and the Indians (6-9) blanked the Highlanders (3-12) at Spokane Community College. Garcia’s first goal came in the seventh minute off a Kaylee Mellgren assist. Her second goal came unassisted in the 31st minute. Danielle Jones and Payton Flannery combined for four saves to preserve the clean sheet. West Valley 5, East Valley 4: Chelsea Koker and Frankie Schade scored two goals apiece and the Eagles (8-9) topped the Knights (11-6) at Gonzaga Prep. West Valley advances to the State 2A tournament while East Valley will host the third seed from the Central Washington Athletic Conference in a winner-to-state crossover game on Saturday. EV’s Gracie Montoya assisted on Kailee Hance-Brown’s opening goal in the fourth minute and scored a goal in the 42nd minute. Northwest Christian 3, Davenport 0: The host Crusaders blanked the Gorillas in a first-round game. NWC will travel to top-seeded St. George’s for the district title game at 3 p.m. Friday. Published: Oct. 31, 2017, 9:27 p.m. Updated: Oct. 31, 2017, 10:21 p.m.